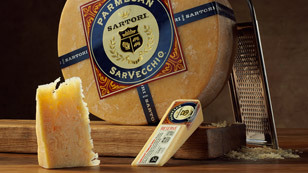 The Sartori scholarship program is another example of our family style commitment. Each year, we proudly grant a number of scholarships to deserving children of Team Members and patron farmers. This past year, we honored high school students from Plymouth and Antigo, Wisconsin as the recipients of our annual scholarship program. All are children of Sartori Team Members or our patron dairy farmers. Sartori selected high school students that displayed exemplary personal excellence through a combination of academic achievement, extracurricular involvement and personal integrity.